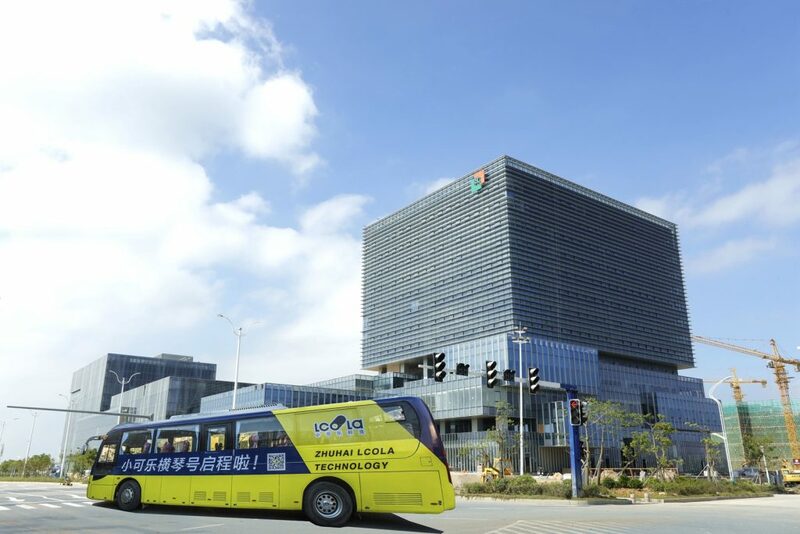 The “Hengqin” commuter shuttle bus is mainly for people who are working in Hengqin, but tickets can be acquired for free by anyone via Zhuhai Lcola Technology Co. Ltd’s “LcolaTech” WeChat channel. The commuter shuttle bus now offers 12 lines and covers 121 sites in the major regions of Zhuhai, such as Xiangzhou, Tangjia, Tanzhou, Doumen and Jinwan. They operate two times each working day to take commuters to work and back. Passengers can check details of bus stops, arrival times and even the exact location of each bus up to one hour before its scheduled arrival via the WeChat account. The ticketing system for acquiring free tickets opens at 16:00 each day, with passengers able to book their tickets to go home that afternoon and back to work the next working day at the same time. Each bus seats up to 40 people. Co-run by Zhuhai Lcola Technology Co. Ltd, Hengqin Development Ltd and Hengqin Financial Investment, the commuter shuttle buses aim to solve the inconvenience of employees having to travel to and around Hengqin New District. Notably, all commuter shuttle buses are fully electric vehicles. Each is equipped with unlimited onboard Wi-Fi, GPS real-time positioning systems, pillows and other ancillary facilities.